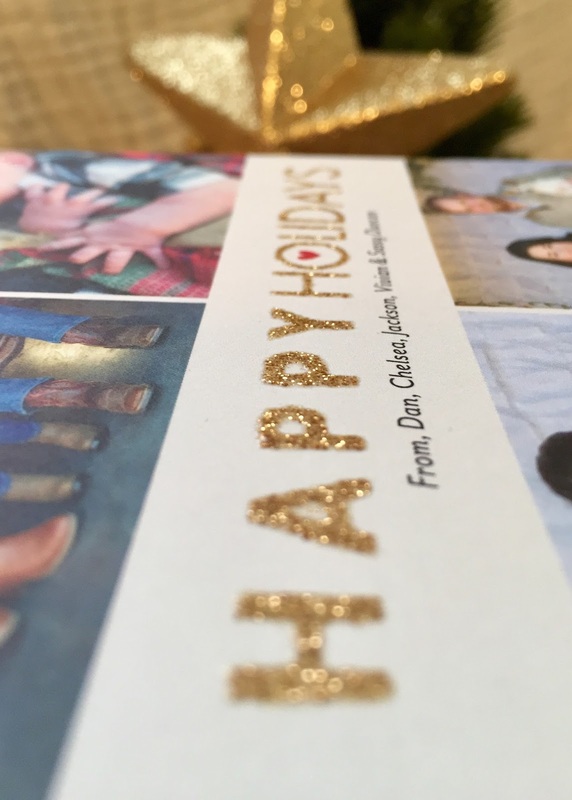 It's holiday card season! 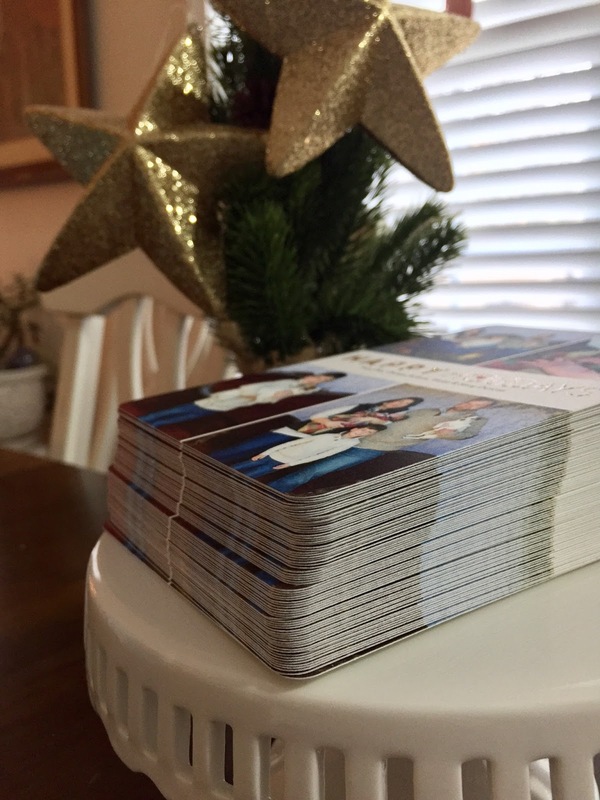 Very soon mailboxes of our family members and friends will have our holiday card waiting to greet them with warm wishes! One of my favorite things about the Christmas season is sending and receiving holiday cards. I hang up every card we receive and proudly display them throughout our home. Through the years I have kept the cards we have received and enjoy seeing how families change and grow from year to year. While we are all friends on Facebook and see family pictures throughout the year on various social media channels, there is something so much more special about receiving a card in the mail. 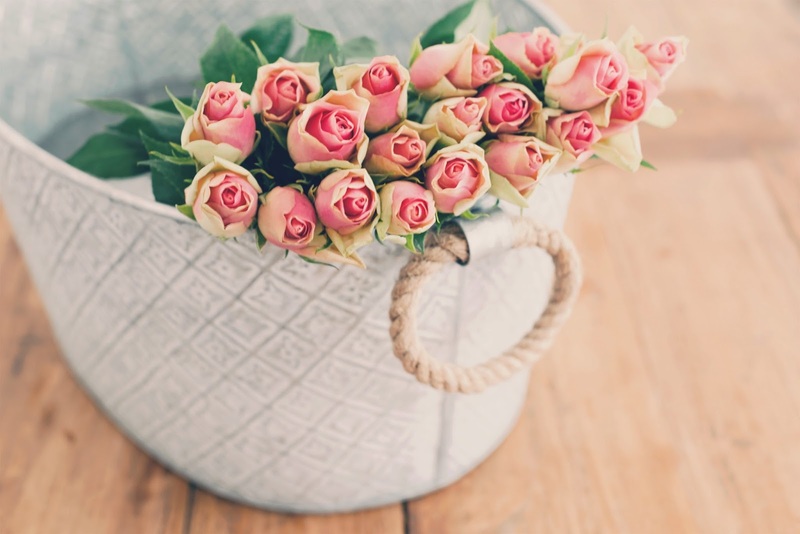 The gesture, and the feeling it brings, can never be replaced by social media updates. 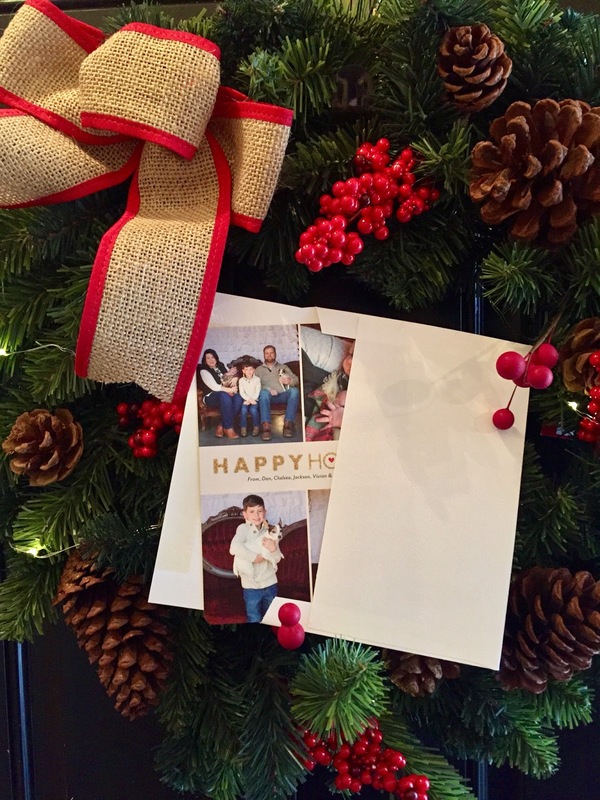 This year, we ordered our holiday cards from Tiny Prints. This was our first year using Tiny Prints and we were very impressed. The quality of their cards is incomparable and the options are endless! They have Letterpress, laser-cut, glitter and foil stamped cards. You can choose to add trim to your card such as rounded edge, like my cards, or scalloped edge. They also have lots of options to jazz up the envelopes as well! I ended up choosing the glitter detail for our holiday cards as I wanted them to be extra festive this year. The glitter does not rub off and adds a nice dimensional effect to the cards. I am not going to give away everything just yet, as I want there to still be a small element of surprise for those receiving the cards in the next few weeks. This holiday season is a special one for our family as it is our daughter's first Christmas. 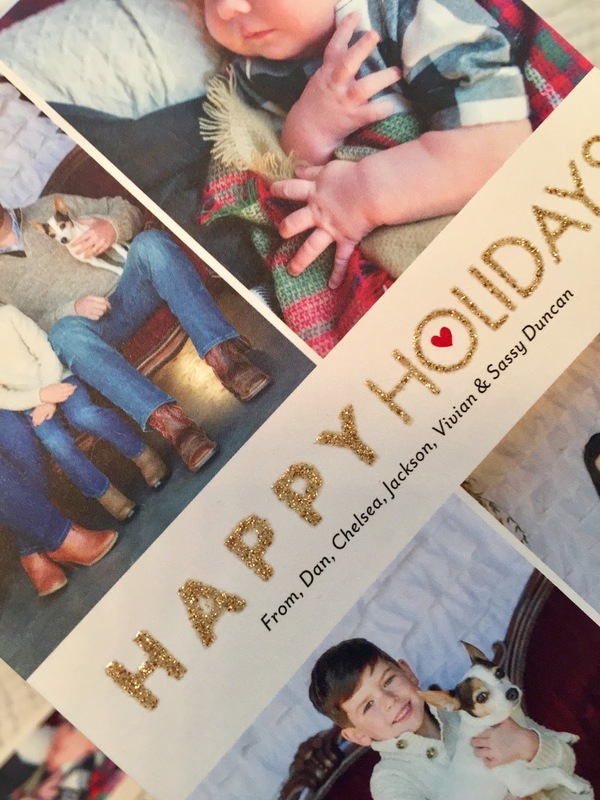 Since our daughter was born at the end of October, I did not want to send out a birth announcement only to turn around and send holiday cards out less than a month later. 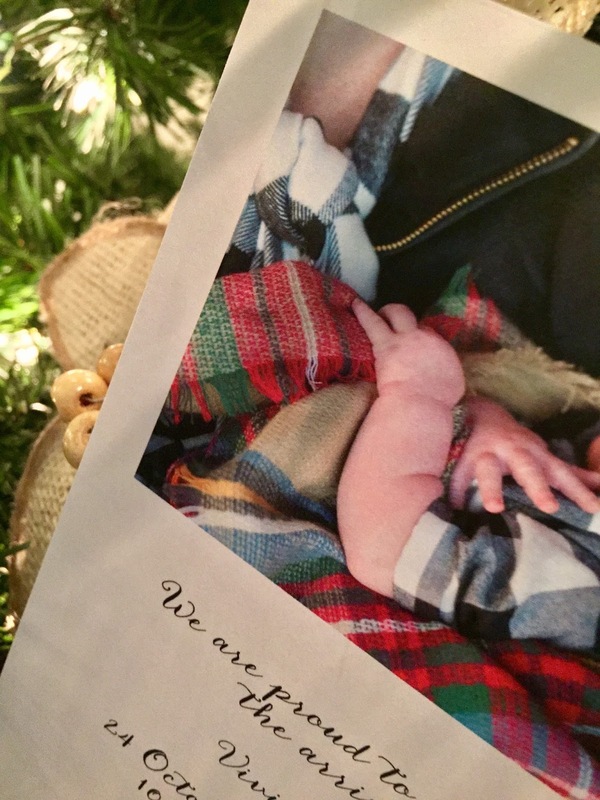 Tiny Prints gives you the option to use the back of the card for more pictures and updates, so I decided to use the back of our holiday card as Vivian's birth announcement. 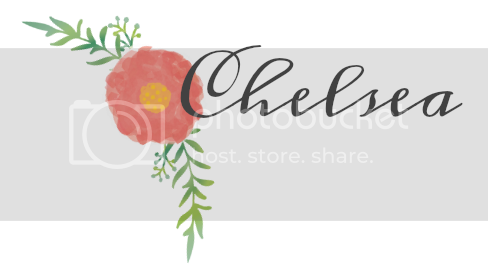 I am so pleased with how the announcement turned out. Traditional and classic. I promise once our cards have reached their final destinations, I will reveal our holiday card for 2016! 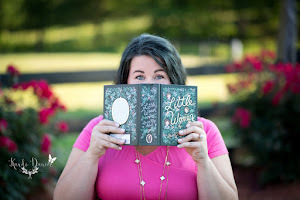 The next time you are in need of greeting cards; whether it is for Christmas, Easter or announcing a marriage or the birth of a child...check out Tiny Prints. You will not be dissapointed! I hope everyone receives lots of greeting cards this season and is able to spend the holidays with the ones you love.